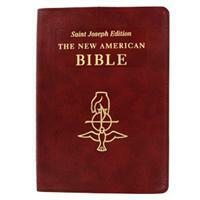 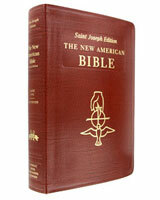 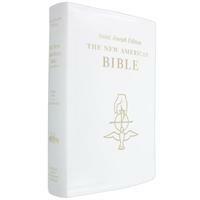 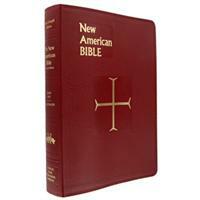 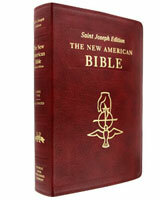 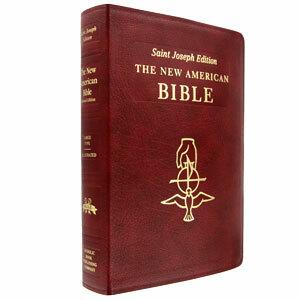 Full sized New American Bible Revised Translation Catholic Bible. 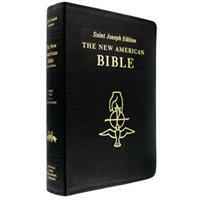 The burgundy leather cover in embossed in gold with the symbols of the Trinity, the Father, Son and Holy Spirit, This beautifully illustrated Bible features a family record section, making it a great gift Bible to be treasured for a lifetime. 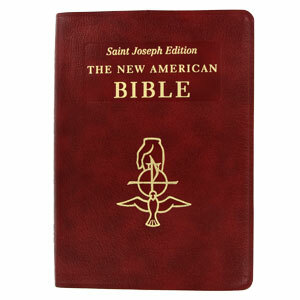 Also available in White, Brown and Black.